The 2016 MLS season is less than a week away but several teams still have yet to introduce their new kits for the season. 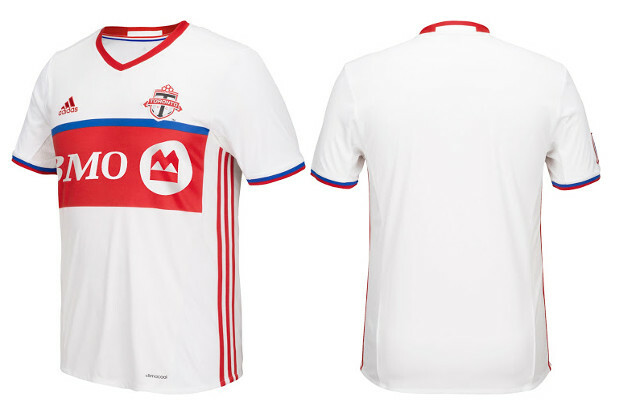 One of the last holdouts for the offseason of redesigns, Toronto FC, have unveiled their brand new away kit for the 2016 season. 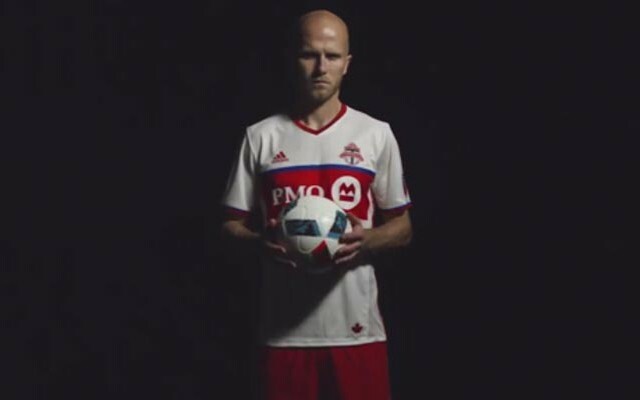 According to the kit launch video from the Toronto FC website, the color scheme pays tribute to Canada’s color red and Toronto’s color blue. Per the team description, the kit pays homage to the 40-year anniversary of the last football title from the city of Toronto with a look to the future. Last season Toronto FC qualified for the MLS Cup Playoffs for the first time in club history. They were eliminated by Candian rivals Montreal Impact in the knockout round. Star Forward Sebastian Giovinco set an MLS record for contributed goals with 22 solo goals and 16 assists – leading the league in both categories en route to MVP honors.